Details about Switzerland Mi P-241 mint. 1981 40c Space Shuttle Postal Card, fresh, clean, VF. Switzerland Mi P-241 mint. 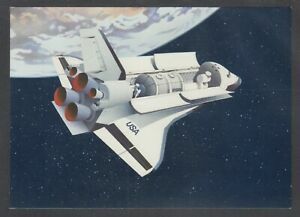 1981 40c Space Shuttle Postal Card, fresh, clean, VF.